The outdoor food kiosk at Elm Park, previously known as The Hatch, could reopen again this half term. It ceased trading as Elm Eats late last year just months after caterer Aaron Phillips began trading last spring when The Hatch closed. But after several months, during which local people complained that it was never open at the right time, and other issues, it closed. Now youth & community charity FACE Filton wants to open it as a social enterprise, offering training and job opportunities for vulnerable adults with learning or social disabilities. A proposal from FACE to run the facility rent free for six months was rejected by town councillors but they agreed to a three-month trial period to then be reviewed. It is now hoped it will open in time for the February half term. FACE are currently advertising for staff to get started. FACE Charity Director Debbie Teml said: "We've had the idea of a social enterprise for a while to develop our charity's services in Filton. Our plan is to offer training which would lead to voluntary jobs then paid jobs for vulnerable adults. "We have crowdfunded and been donated some funds of around £500 to get us started and we have put in applications for external grants. We are also holding a ‘Gift Day’ on Thursday, 7th Feb 10am-2pm where people can join us at FACE for drinks, doughnuts, and give donations towards this project. "There is so much potential here and we think we can provide a great, affordable service for the weekend football trade and weekly park users as well as build skills and economic well-being for vulnerable adults. "We are not starting at the best time of year but if we can get going and make it work then hopefully it will be even better when the weather gets better." Debbie said she wanted to offer quality coffee and other drinks, soup, bacon baps, cakes and a wider menu in the summer months, including ice cream. She added: "We hope this can be a stepping stone for some of the people in Filton who might otherwise find it hard to get a job." 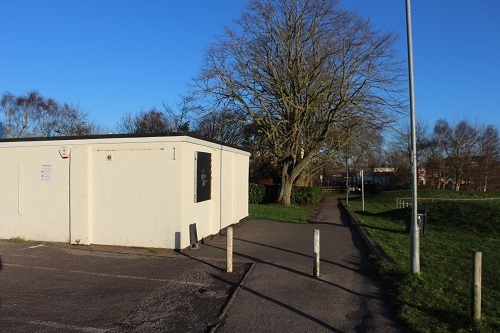 Filton Town Council chair of Finance Ian Scott said: "Debbie and FACE have come forward with a brilliant suggestion that will provide both services to Elm Park users in Filton and provide valuable training opportunities. "I wish them well and hope they prove it is a successful venture which will enable us to consider a long term arrangement." The cafe was run before Elm Eats as The Hatch by Gavin Horswell but issues around rent rates forced him to close down in 2017.